The Simpsons have appeared in nearly 30 video games since 1991. The first was an arcade game (pictured above), which was developed and published by Konami. 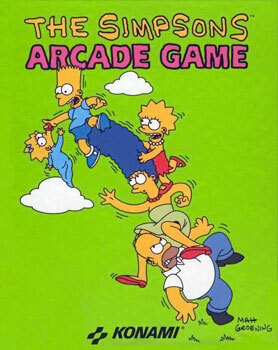 It was a side-scrolling beat ’em up game in which players took the role of one of the four main show characters (Bart, Lisa, Marge, and Homer). The main antogonist in the game is Smithers, who has stolen a diamond and kidnaps Maggie after she mistakes the diamond for a pacifier.